Superman is in for some pretty major changes in DC’s Rebirth event—and with all those changes, he’s getting a new supersuit. Appropriately, given the circumstances Kal-El finds himself in, it does a grand job blending classic the Superman design with the current suit. It’s certainly better than a t-shirt and pants! The artwork comes from Tom Derenick, who posted the turnaround art to his Facebook account. It’s based on a new design from seminal artist Jim Lee. 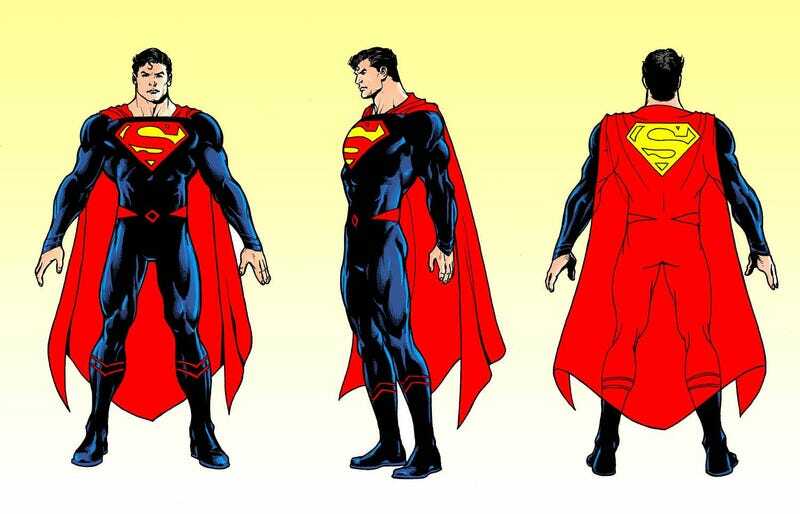 There’s a lot of influences from the classic Superman suit here, like the lack of the high collar from the New 52 era suit. It’s even a little Man of Steel-y, what with the angular wrists and the red belt elements, in lieu of the classic underwear-on the outside. And yes, the classic spitcurl haircut is back. No more buzzcut! The mish-mash of old and new elements makes a lot of sense, given Superman’s circumstances in Rebirth. After all, this isn’t the New 52 Superman (who’s on his way off the comic’s mortal coil), but the Superman of the pre-reboot world, who’s currently running around in the pages of Superman: Lois and Clark but will become Rebirth’s defacto caped hero in the wake of New 52 Supes’ demise. Blending the iconic elements with some of the more modern designs is perfect for this old Superman taking on a new role. Still, would it have killed them to bring back the red underwear? That would’ve been the ultimate throwback.